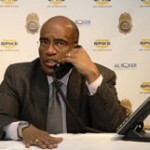 Al Roker, the jester of morning television, will launch a second season of his tv progam “DEA”– a reality show on the inner workings of DEA agents in action. 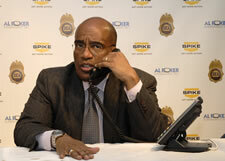 His company Al Roker Entertainment initially produced six one-hour episodes that were filmed in Detroit and aired on Spike tv this past spring. Production for the second season will begin this Fall and air in 2009, according to Spike tv. The station has not announced which city the show will be filmed in. “DEA” averaged 1.2 million viewers in it’s opening season, Spike tv said in a statement. Al Roker will be co-executive producer for the series along with Russell Muth and Hank Capshaw of Size 12 Productions, Spike tv said . Posted: 10/17/08 at 12:13 AM under News Story.